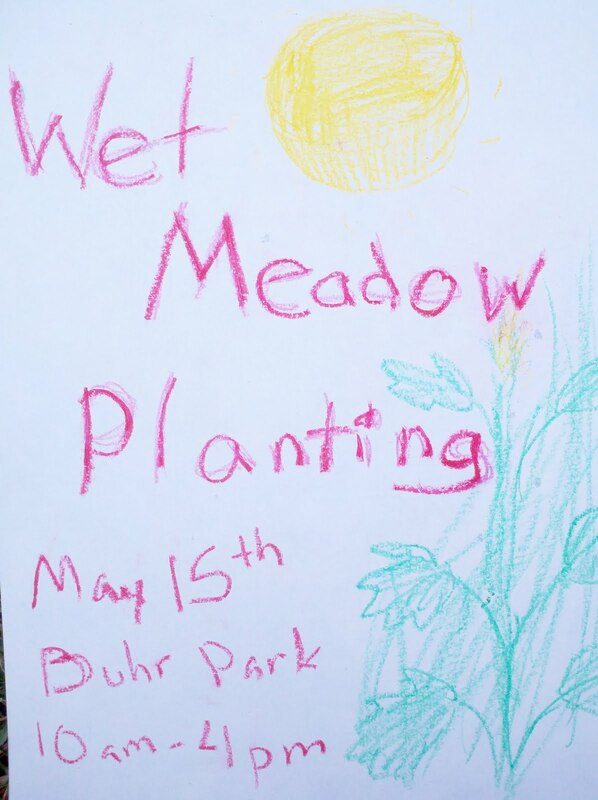 Join neighbors and supporters in helping to plant the newest wet meadow in Buhr Park. come anytime for as long as you want. Park in the main lot by the pool and ice rink. Help plant over 1,000 plants that will help filter rainwater, create critter habitat and make the park more interesting. 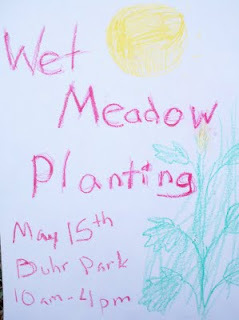 The newest wet meadow is codenamed "Wet Meadow 1 Extension" because it is located just to the south of the first wet meadow in Buhr Park. It is separated from the first wet meadow by a grass path.